The end of a lovely relationship? 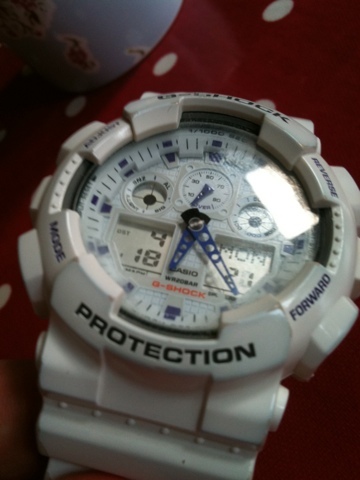 So a while back I blogged about the latest G-Shock I had bought (the G-Shock X-Large Combi). I was so delighted to have found a white version of this fine watch available for delivery to the UK and initial thoughts were excellent. Now though, less than 8 months on, I am returning the watch to Casio. 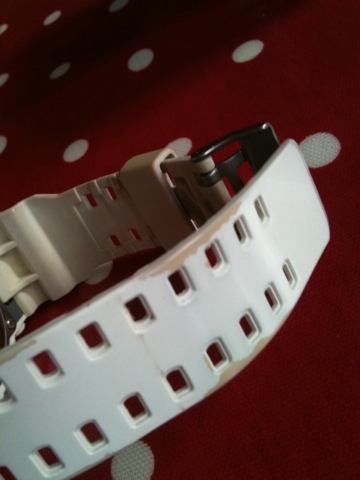 The strap has deteriorated hugely, the resin peeling away and the casing/bezel has become discoloured and losing resin too. 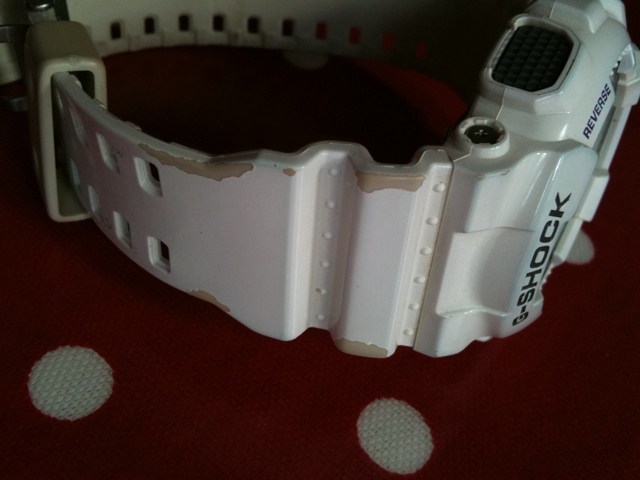 G-Shocks are highly regarded for their toughness, used by all sorts of people in rigorous situations. It seems however I have got a dud. 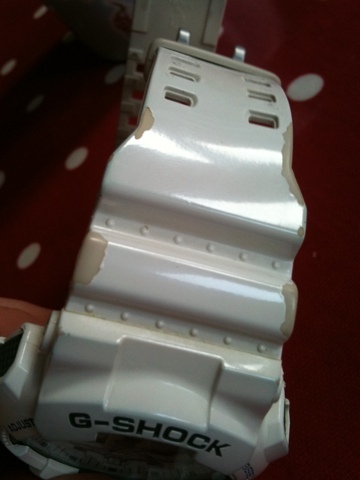 See photos below of how badly the strap has peeled and the resin has been discoloured. This is not my usual experience of Casio and indeed G-Shock however, having owned and loved many other models previously. 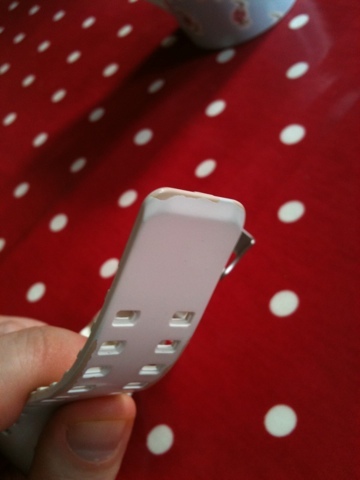 I really hope Casio can either replace the strap and housing or swap over a brand new model under warranty. I have it all packaged up and ready to go in the post on Tuesday. Keep your fingers crossed. I will keep you posted with progress. Here’s hoping it isn’t the end of a beautiful relationship. Loving the new campaign from Cravendale. Was a fan of their sinister cow adverts but now they have introduced cats with thumbs. Great work. The original JR Hartley advert was a classic from Yellow pages. Now, with a major promo for it’s App and Yell.com, JR Hartley has died retired and there’s a new kid on the block – Day V Lately. It’s a great reworking of a classic advert. Well done Yell. And of course, it would be remiss of me not to include the original. I love Volkswagen’s advertising, they always seem to get it right. This latest one – The Force – is no different. Love the soundtrack and the dance. Amazing. Finally a couple of Golf adverts from the last few years with rather differing styles. If you want to look as cool as them (taches optional), check out the Ark° online store and pick up a great looking new T shirt. Once again, the power of Twitter shines through.